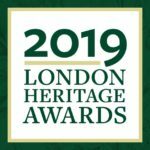 Heritage London Foundation is an innovative charitable organization founded in 1981 that advocates for the preservation of significant heritage properties. Created when the wrecker’s ball was rapidly destroying many of London’s architectural treasures, Heritage London Foundation now provides viable contemporary uses for two beautiful houses, the Elsie Perrin Williams Estate and Grosvenor Lodge. Send us a quick message if you have any questions about our services, availability or how to get involved.